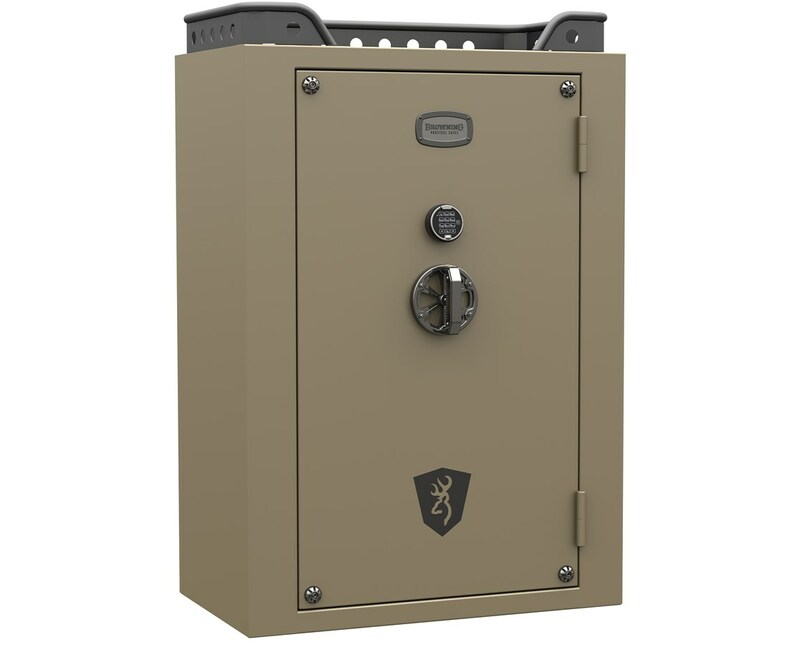 The Browning 49-Gun Mark IV Black Label 100-Minute Fireproof Safe is a 37 cubic feet safe that can accommodate up to 49 guns and can withstand the heat of 1680 degrees Fahrenheit for an hour. 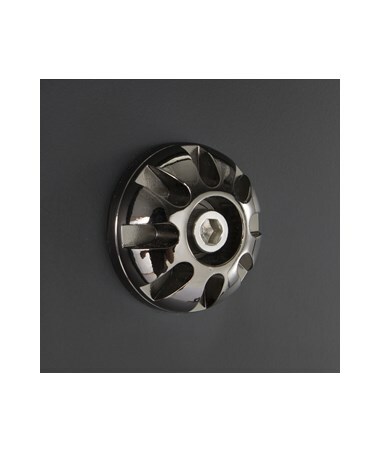 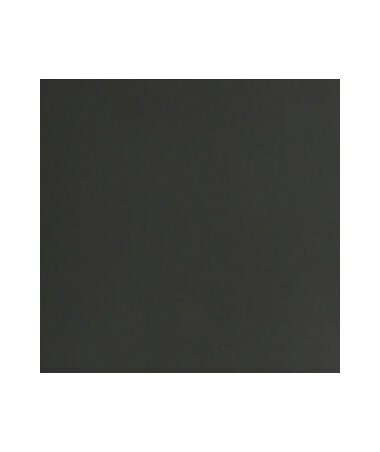 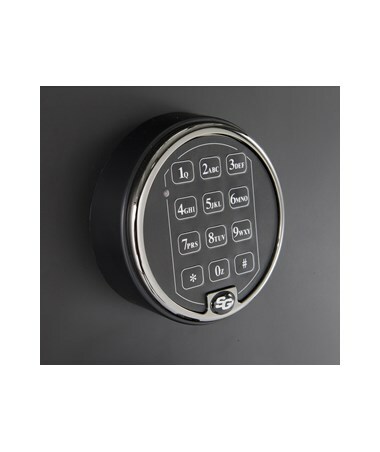 It has multiple security features which include the UL listed S&G electronic lock. 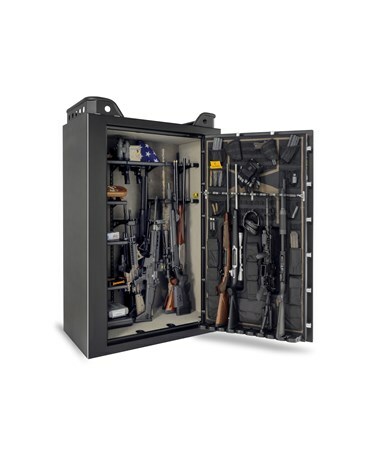 The interior has a beige fabric, a fully adjustable gun rack, a door organizer, and pockets and pouches for pistols and accessories. 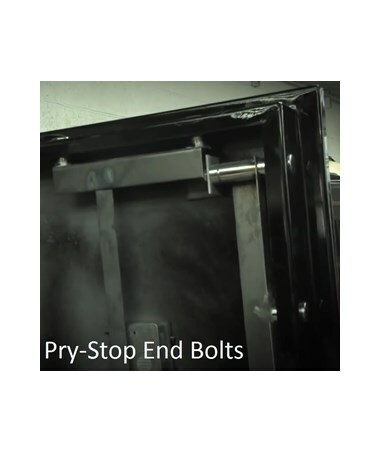 The safe’s door uses the heat-activated Palusol expandable door seal keeps out smoke and makes it waterproof. 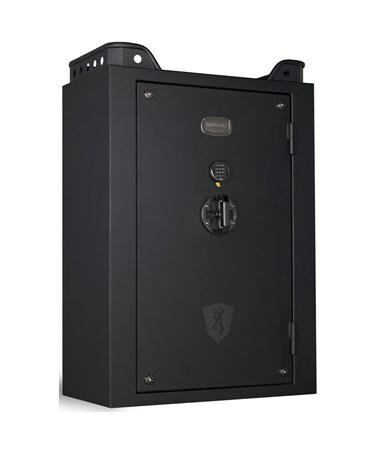 This safe can last 100 minutes in a fire of 1680 degrees Fahrenheit and can maintain an internal heat of 350 degrees. 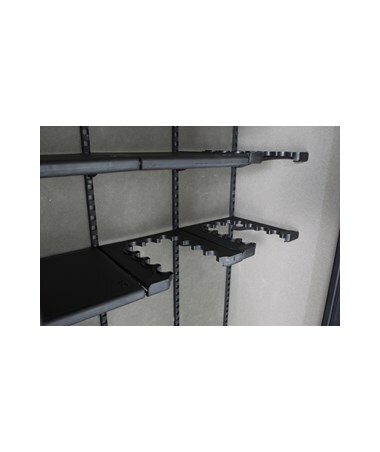 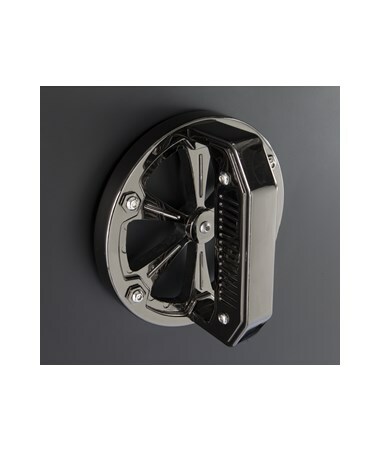 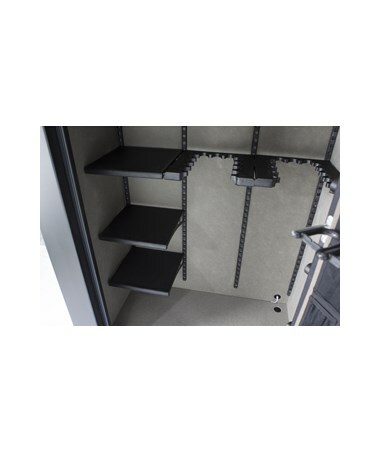 Its door is held shut by 10 solid steel 1.5-inch active locking bolts and six deadbolts maintain security even when the door hinges are cut off. 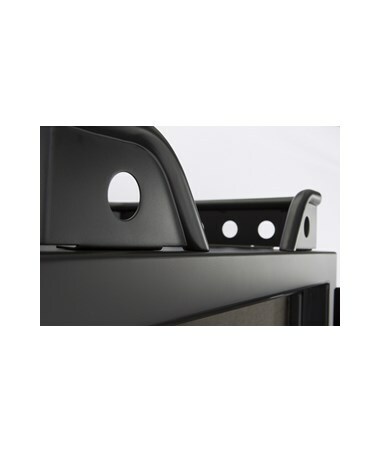 The rotating cam system protects the lock and bolts against brute access by transferring force away. 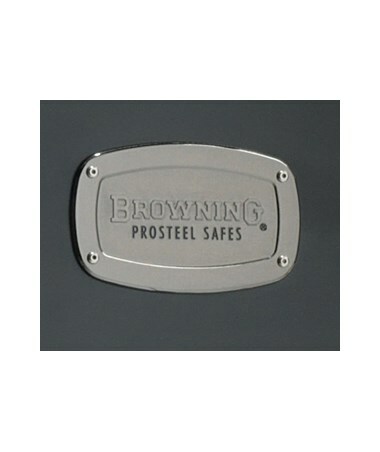 With its reinforced frame, the door is well-protected against prying attacks. The Mark IV Black Label Gun Safe is made of steel with an 11-gauge continuously-welded body and an inch thick door. 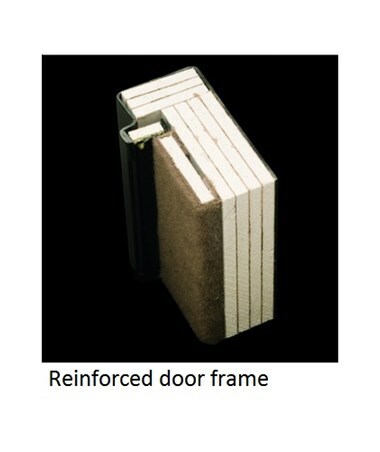 This door can be removed for easy transport and has external ball-bearing hinges for opening up to 180 degrees and allow full access to the interior. 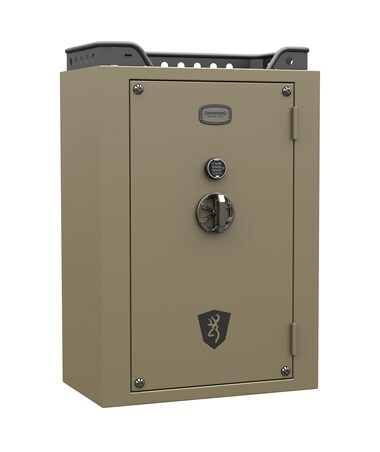 This safe comes with a tactical-style handle with black chrome finish, a metal plate logo, and corner decals with silk-screened shield graphic. 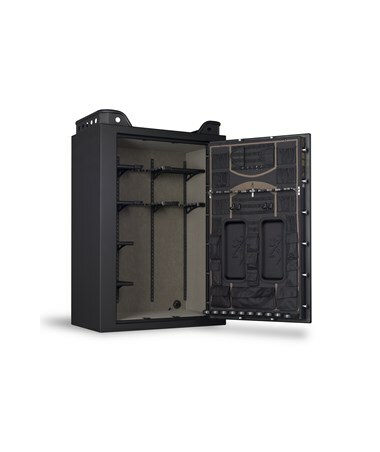 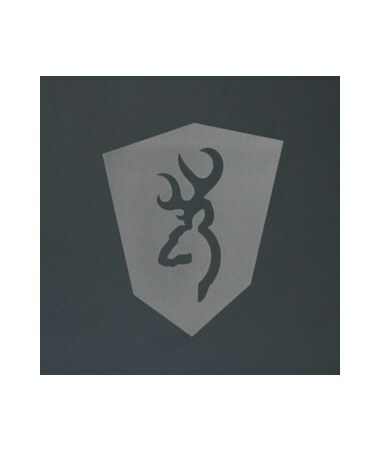 The Browning 49-Gun Mark IV Black Label 100-Minute Fireproof Safe is available in two different finishes. 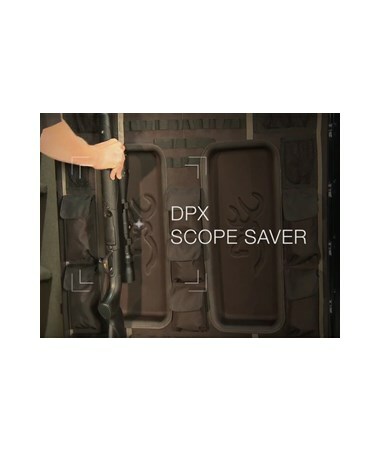 Please select your preference from the choices above.